​Last Thursday saw the release of Tamil actor Suriya's Singam 3 at the Kerala Box Office. 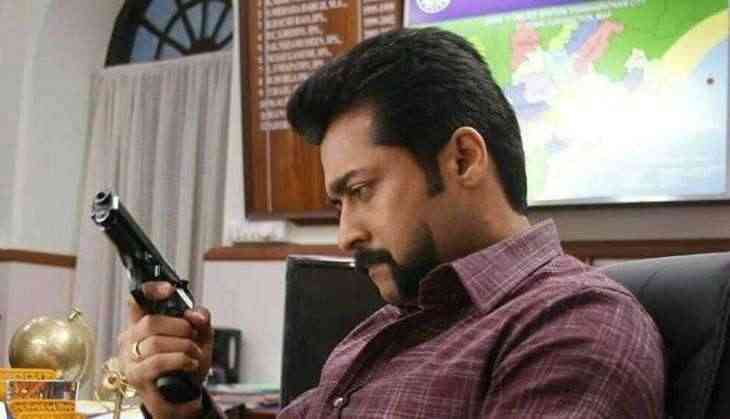 Directed by Hari and produced by Gnanavel Raja, the action-entertainer marks the third series of Singam franchise.​ Singam 3 stars Anushka Shetty and Shruti Haasan as female leads. Singam 3 had a good opening day at the Kerala Box Office. The Suriya starrer was released in 218 screens and did reasonably well throughout its opening day. The film has grossed Rs. 2.32 crore at the Kerala Box Office with best numbers came in from the Malabar regions. Reportedly, Singam 3 has minted Rs. 88 lakh from Malabar areas alone which is remarkable considering for a non-Malayalam release. The film also surpassed the opening day collections of Ilayathalapathy Vijay's recent release, Bairavaa to emerge the top Tamil opener of 2017 so far at the Kerala Box Office. Upon its release, the Vijay starrer had minted Rs. 2.16 crore at the Kerala Box Office. However, the alarming factor for the makers are Singam 3 has started showing noticeable drop at the multiplexes as per Friday reports. Singam 3 should show good hold on Saturday and Sunday to have a healthy 5-day opening weekend.